​The Tavern was fitted up in ‘an attractive and artistic style, with drink and food provided at the usual moderate tariff.’ Meals were provided from 5.30 am until 10.30 pm – rice pudding and cakes, chops and steak, with afternoon tea at 3d per head. The Tavern also served as the depot for the Provident Coal and Clothing Company. One could suggest that this was Tivoli’s first Social Centre! The Vicar of St Stephen’s at the time wrote that such institutions would halt the progress of intemperance by inducing breadwinners of the neighbourhood to prefer it to the Public House - a sure way of ingratiating himself with the landlords of the five hostelries in the very small and heavily populated area about which he was talking! The Tavern moved to a new premises in Tivoli Street in 1890 – the present St Stephen’s Club site - and provided the opportunity for Mr Sadler, the grocer from next door, to acquire the vacated premises. It remained part of a grocery business until 1973 when it became the Tivoli Café, run by Andrew Lithgoe. Since then it has seen several owners and uses, including a showroom for Jason Tool Hire from 1977 and more recently as an Art Showroom. The current business, ATC Floors & Doors, supplies and fits custom made wooden floors and doors and related furniture. 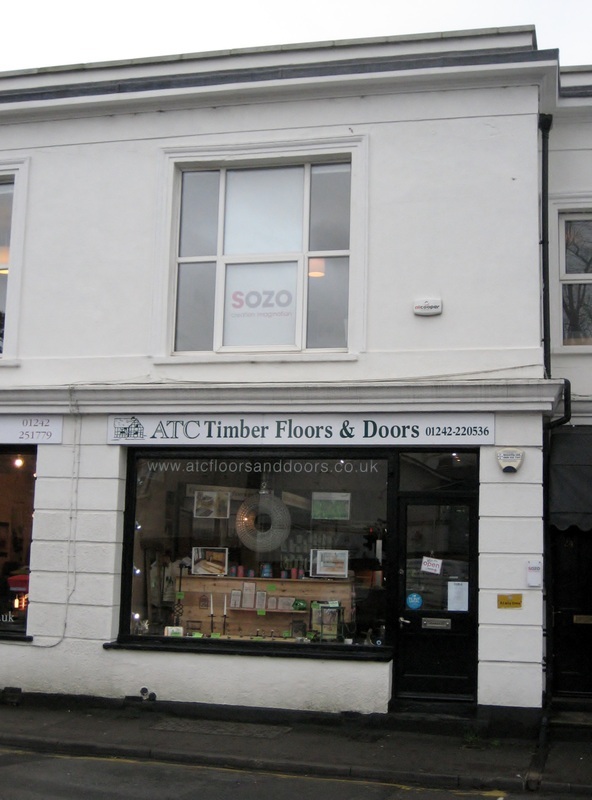 In March 2005, 26 Andover Road was re-opened as a Timber Floor & Door Shop called ATC. It is a family run business (run by the women!) with the head office being in Monmouth, South Wales and Cheltenham being its’ second outlet. ATC specialise in the supply and fit of all types of hardwood and softwood timber floors and doors. We also offer advice on all different types of timber finishes, paints and stains as well as stocking a fabulous range of UK made door furniture alongside some wonderful wood related gifts.